Yesterday was a lovely hint of the summer weather ahead. It was wonderful and warm and a bit humid and just felt fabulous to be outdoors. Absolutely no jackets or sweaters were required yesterday! And because it was so nice and dry and not windy, we were able to get some things photographed out on the roof garden. One of those things was my Joseph’s Coat top. I’ve been dying to to get a half-decent photograph of this to show as I just love it. The grass out on the roof garden hasn’t been cut yet and was really holding the quilt top up off the ground quite well. It’s a big quilt by my standards – it’s approximately 70 x 74 (which is making me think I have to add some more to it as I really don’t like square quilts). It has a great mix of lots of my favourite shabby chic prints with some batiks and a variety of white on white background fabrics. When I picked it back up and realized I’d used the background fabric I had started it with in other projects, I decided that a variety of different white on white fabrics would not matter. Looking at it now, I’m glad I didn’t stress over that. I started it way, way back in June 2011 (as can be seen on this post), when the Inklingo Joseph’s Coat collection was released. I’d work on it a bit here and there but, for the most part, it was on the back burner until this past winter when I got on a tear and kept going and going and going and printing more and more melons and background pieces. I just did not want to stop! Once I got into the rhythm of sewing it, it really became rather quick to stitch. So much so that now I’m contemplating a second one. The idea for that second one is really taking root in my imagination, so I would almost bet it’s a done deal that I’ll be doing just that relatively soon. 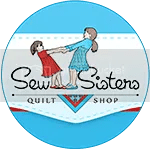 For me, sewing Joseph’s Coat has it all – curved piecing and continuous sewing. The daffodils are up in the roof garden flowerbeds and the hostas are just starting to send up their shoots. A few more lovely warm days and I bet things really take off. Jake was watching us out on the roof garden from his perch on the top of the kitty tree. Mr. Q.O. captioned this one, “Come home to devil cat.” The sky had become rather overcast and he had to use the flash to get this shot and – well, cats’ eyes and the flash don’t quite mix. I can’t wait until the window washers get to our windows and then we’ll have lovely clean windows again. I took this photo of Baxter the other day – love that huge outstretched paw! Your quilt top looks amazing. Congratulations on finishing the top. Love it. Thank you, Shirley! I’m really happy with it – lots and lots of my favourite fabrics are in it. Morning Cathi, sounds like yesterday was a bang up day to be out an about! It’s starting to warm up again here. Gardens have been tilled, starts are in and then…. it snowed, and stuck, and froze!! Joseph’s coat is BEAUTIFUL. My gosh that one is just stunning. You always inspire me to get up into my quilt room and get going again. Untill i look out my window and see whats needing done out side. This is the reason I have a love hate relationship with winter, and summer… *giggle* . Enjoy your day. It must be awful to have everything ready for planting and then get snow! If you add some more rows that quilt will be closer to a twin bed size. 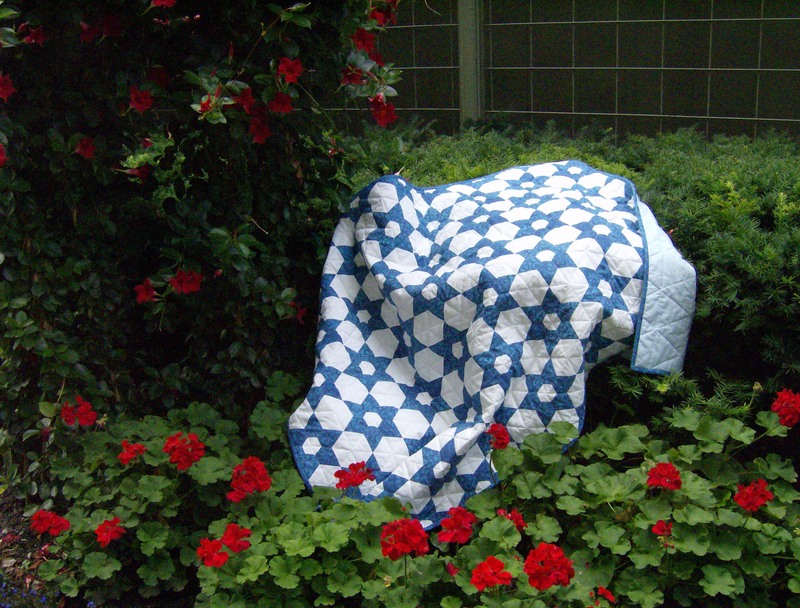 I don’t like square quilts either unless they are going on the wall. I think I will add one more row of rings, but not until I get the Pickled Ladies top finished. Right now, it looks rather wonderful as a top on our bed, but it’s just enough to cover most of the top of the duvet. I might be tempted to leave it this size with the thought that it would be a nice decorative element to have on top of the duvet during the daytime. That’s beautiful Cathi. 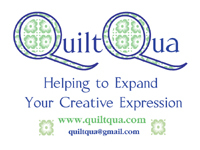 What do you do with all the wonderful quilts you make? Thanks, Liz. I’ve given quite a few away, but the stack of tops waiting to be quilted is getting rather large. Thank you! I’ll be binding it as it is, but I do think I’m going to add another row of rings – although not until after I get the Pickled Ladies top finished! Thank you. I think it’s my favourite of the ones I’ve made so far.